At least my home insurance company thinks so – they believe only a professional cyclist would spend 1,600 eur on a bike . They’re refusing to insure it until they get an independent valuation. I liken it to good quality musical instruments. A decent grade violin costs anything from $1,000-$10,000usd – used by non-professionals. Same for pianos, wind instruments, guitars. Why is sports equipment different? It’s a lot easier to steal a bike. Also easier to pass said stolen bike onto a third party. Anyway, even if someone actually *IS* a professional cyclist and their expensive bike doesn’t come under the description of house contents for insurance purposes, I would imagine the insurance company should have a specific type of insurance package on offer. I’d also hazard a guess that it would cost a pretty penny too! Compared to eg. 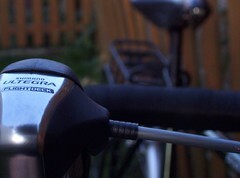 musical instruments, there is a greater and more likely risk for bicycles to be stolen or damaged. Therefore, they are reluctant to insure expensive models. Fair enough point. My issue is not with the amount of risk involved: you’re right to say that there is a strong possibility of more risk with the sports equipment. The problem is the assumption that with an item valued over (whatever arbitrary value) that you must be a professional, because no amateur enthusiast would spend that much. That assumption is wrong. The fact that you don’t earn money by riding your bike confirms that you’re not a professional cyclist… can’t you send them evidence of what your full time job is?